On January 22, an informal meeting between Azerbaijani President Ilham Aliyev and Prime Minister of Armenia Nikol Pashinyan was held on the sidelines of the Davos World Economic Forum (WEF). It is obvious that at this summit the conversation was about the current state of the negotiation process on the settlement of the Armenia-Azerbaijan Nagorno-Karabakh conflict. Head of the foreign policy department of Azerbaijan’s Presidential Administration Hikmet Hajiyev described the meeting as continuation of unofficial meetings held earlier in Dushanbe and St. Petersburg. It is known that the meeting in Dushanbe took place on September 28 last year as part of the CIS summit, where the parties expressed their commitment to negotiating the conflict’s settlement, observing ceasefire to prevent incidents on the contact line and on the border between Armenia and Azerbaijan. These two factors are closely related to each other and therefore were also in the center of attention during the meeting in St. Petersburg in December. As can be seen, the topic of the beginning of the occupied Azerbaijani territories’ liberation is mentioned at the most authoritative global platforms. The Azerbaijani president is methodically taking all the necessary measures so that the process of returning the occupied territories of the country would begin. The key to the success of this policy is that over the past years Azerbaijan’s military and financial advantage over Armenia has become noticeable, as well as the energy, transport and economic isolation of the occupier state. The meeting of the Azerbaijani and Armenian leaders on the sidelines of the WEF in Davos is obvious success of diplomacy by Ilham Aliyev, who, regardless of the mediation services of the OSCE Minsk Group co-chairs, often turning into an obstacle on the path of negotiations, turned them into a bilateral format. Obviously, first of all, the case is to establish trusting relations with Pashinyan - it is easier to negotiate this way, and there are other significant reasons for this. Unlike the representatives of the “Karabakh clan” Serzh Sargsyan and others, Pashinyan is cooperative and is interested in solving the Karabakh problem without the participation of third forces. The most painful topic for Pashinyan is the need to withdraw the Armenian army from the occupied Azerbaijani territories, which can be implemented in response to the guarantees of providing self-government and security to the Karabakh Armenians and broad economic preferences from Baku. The new government of Pashinyan needs help, and Azerbaijan may provide it. This, in particular, refers to Azerbaijan’s guarantees for the non-resumption of hostilities, the opening of transport routes, and in the future - negotiations between the two Karabakh communities – the Armenian and the Azerbaijani ones. The Yerevan team headed by Pashinyan understands that the “Karabakh clan” for the sake of its profit and ambitions with the assistance of third forces, the foreign diasporas, pulled Armenia into the Karabakh swamp, and Azerbaijan can pull Yerevan out of this swamp. Accordingly, Baku and Yerevan need to discuss in what format they can proceed to a phased settlement of the problem. The main theme is the possibility of withdrawing Armenian troops from the occupied territories in response to the creation of economic concessions from the Azerbaijani side. It seems that Pashinyan is a prudent leader and will be able to prepare the Armenian people for Armenia’s main achievement - reconciliation with Azerbaijan. 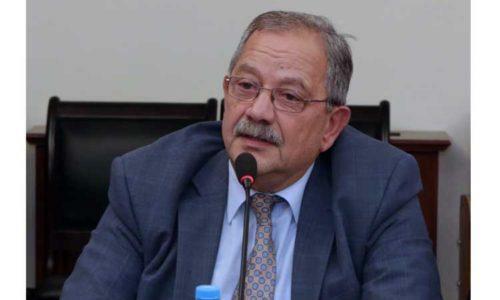 It is noteworthy that he imprisoned a friend of the Karabakh ideologist Zori Balayan - Robert Kocharyan, who possesses the same sick imagination and who is known for his statement that Armenians and Azerbaijanis are genetically incompatible peoples. He didn’t want, and most likely couldn’t admit that Azerbaijanis and Armenians are quite compatible and live together not only in Georgia, Russia, Turkey, Iran, the US, the Netherlands and other countries, but even in Azerbaijan. President Ilham Aliyev’s meeting in Davos with Nikol Pashinyan is much more important than we all think. In addition to the Karabakh problem, the future of Armenia is being addressed in Davos, and Armenia simply won’t have it if the occupation of the Azerbaijani territories continues. The Armenian leader needs reconciliation, and it is easier for him to negotiate with Ilham Aliyev tete-a-tete, especially since the meetings take place under the conditions of the overwhelming military-political and economic advantage of Azerbaijan. The Azerbaijani people trust their president, and preparing the population for the peace process, in case if Yerevan recognizes the territorial integrity of its neighbor, will become an easy task for Baku. The danger of the Armenian-Azerbaijani confrontation for Pashinyan lies in the fact that Azerbaijani Defense Minister Zakir Hasanov is ready to execute any order of the supreme commander-in-chief of Azerbaijan.